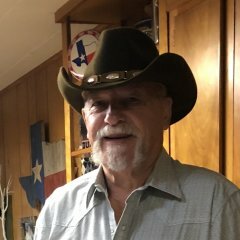 Hello Friends We changed thing up a bit at the texican rangers - in an sequence if a target is engaged once it is painted black, if the target is engaged twice it is painted red if a target is engaged 3 times its painted blue, if a target is engaged 4 times it is painted yellow! of course sweeps like 2,4,6,8 gives us some room for interpretation.... so, on a progressive sweep target 1 is black, target 2 is red, target 3 is blue, target 4 is yellow. first hand gun is 1, 2,2, 3,3 first shot of 2nd hand gun is on the red target! Another example - shooter reads the instructions 1, 2,2,2, 3 twice. with the targets painted black, blue, black they might see 1-3-1 based on the colors. the colors certainly brighten up the range. your mileage may vary, our shooters see the paint scheme as a help.